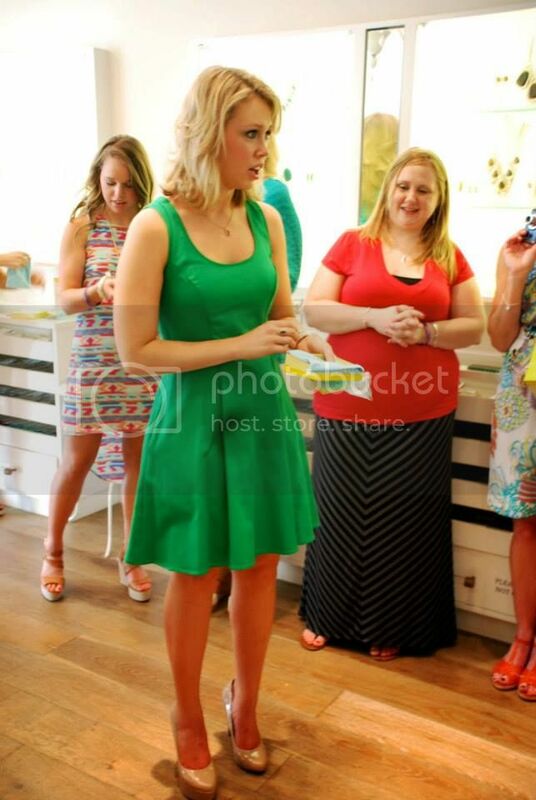 On Monday, I had the opportunity to attend an event at the Kendra Scott store in Dallas. 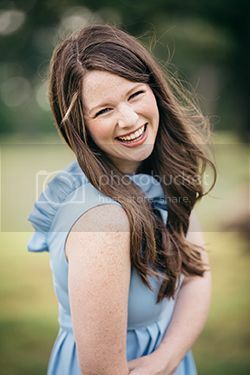 The event was put on in celebration of Hagan, a girl in the youngest pledge class of my sorority from college, Kappa Alpha Theta. She wanted to raise money for "One Million For Anna", because she has had her own cancer journey over the past few years. 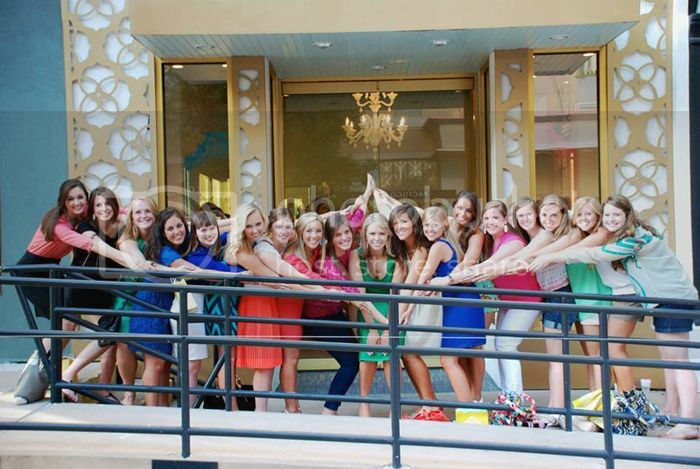 Kendra Scott kindly donated 20% of all purchases to the cause, and had another big surprise planned. The turnout was great, everyone was having the best time reconnecting with friends, shopping for beautiful jewelry, and supporting Hagan. Although I am now a Theta alum, it never ceases to encourage me to see the incredible women of my sorority stand up to support each other. Such a blessing. 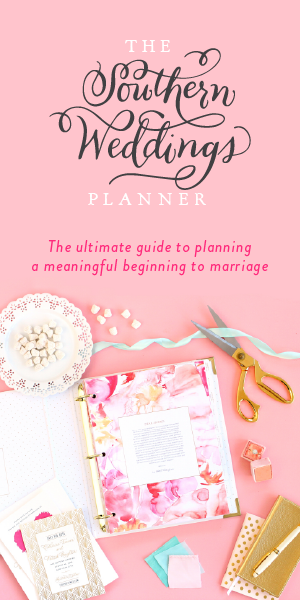 When I was making plans with my old roommate from college Courtney, to attend the event, people kept telling us to "make sure and get there by six, for the surprise! "I'm so glad that we did. A representative from the Kendra Scott headquarters in Austin came up to Dallas to represent the company, and to finally get to meet Hagan and her mom. She told us of how Hagan's mom had emailed her (a representative for customer service) to request maroon colored jewelry for her Fighting Texas Aggie Daughter. She laughed as she told us that Hagan's mom had reached the only Aggie in the Austin based office. 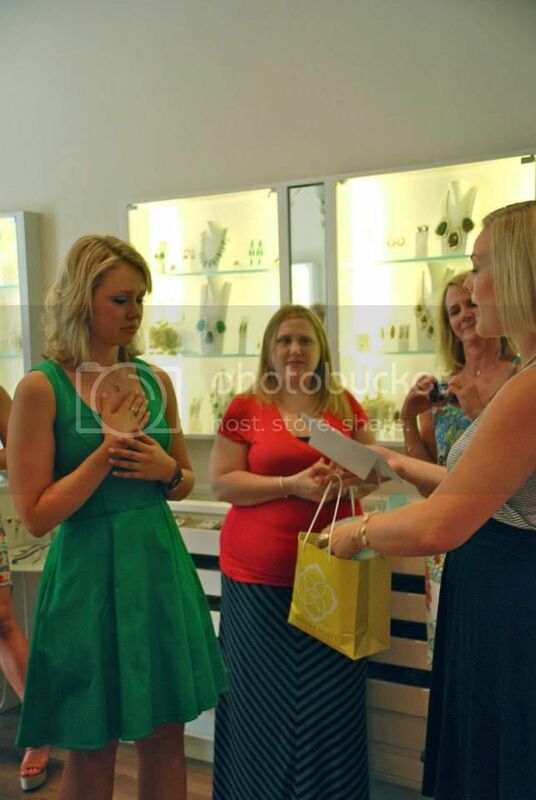 She soon got to know Hagan's story, and Kendra Scott herself did too. They loved Hagan, and sent her a pair of their iconic "Danielle earrings" in maroon, with a note from Kendra. But they couldn't get Hagan off their minds and wanted to do more. They spoke with their designers, and planned to integrate maroon pieces into their fall line. They can be found, here. 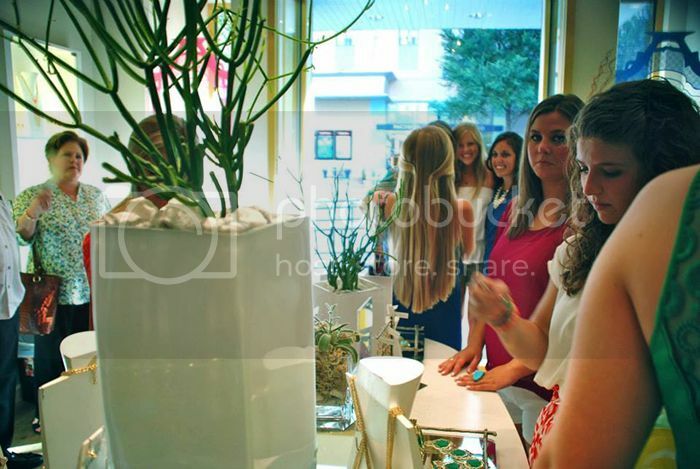 Still with Hagan in mind, they wanted to have a "Kendra Scott Gives Back" event, that we were attending. It was also going to work out to be the perfect time to reveal the piece in the fall line that had been designed especially for Hagan!!!!!! There were few dry eyes in the house as Hagan was gifted the first "Hagan bracelet" in the world, before the line came out in stores a few days later. The bangle is gold and detailed and gorgeous. It somehow fits Hagan's outgoing personality perfectly. As I've gotten older, it has been really cool to learn about companies that have excellent customer service and give back. After this, I was sold. I needed a piece from Kendra Scott. I settled on the "Elle earrings" in white pearl, and the "Rayne necklace" in coral. 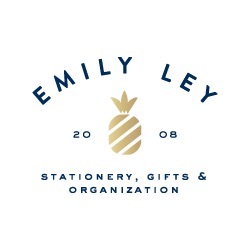 My envelopes took a hit, but it was worth it to support an great cause and company. Plus, the pieces I selected really are beautifully made. It was such an encouraging and fun night! Do you have any Kendra pieces? Will you be going for any of the new maroon or the "Hagan bangle"? Do you have any good stories about companies you love? Note: All photos taken from Hagan's facebook page. What an incredible event! 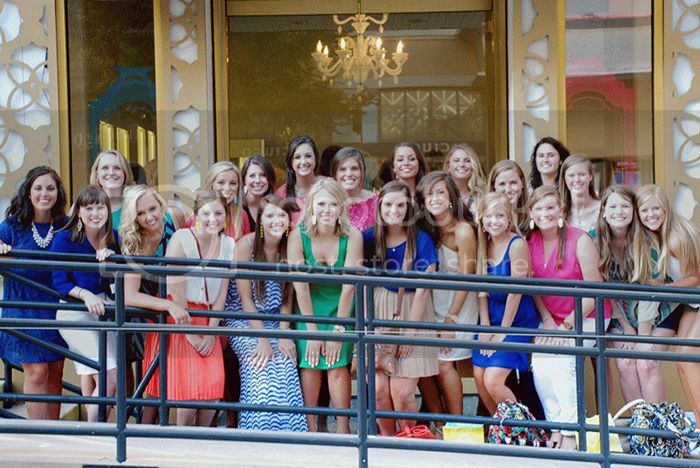 I love the bond that sororities bring and to see the blessing you girls were to her even after graduation! How sweet and generous of Kendra Scott to get involved, too. --on a sad note, most of the images on your site are now popping up as photo bucket icons due to lack of bandwidth :/ I'm sure you'll notice next time you hit your homepage, but I wanted to let you know incase comments go to your e-mail first!